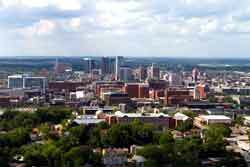 Birmingham is your home....from Gardendale to Chelsea, Hoover to McCalla, Homewood to Trussville, we realize the unique attributes each area has to offer. The Magic City and it's suburbs offer the perfect balance to suit all. From the newly renovated condominiums and lofts in our business district, to historic sidewalk neighborhoods, or brand new developments, our city welcomes! 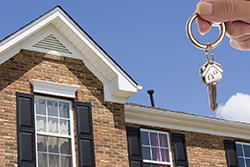 If you are moving from your home, our property management company can assist you at each and every turn. As you embark on your new role as a homeowner, you will be in need of services from marketing to lease signings and all that it entails. When you need hands on care, you can rely on experts in the business to be your eyes and ears and advocate for you. If you are moving into a new property, you will need 24 hour on call service you can rely upon to assist you when needed. Our team is available to provide that care. AHI Properties would like to provide you with the utmost time and consideration in caring for your property, and in finding, screening and securing the resident for your home. If the occasion arises that you would like to sell your home, we are able to facilitate the purchase and sale of the property too, as AHI is a fully licensed real estate company. We will care for your home as you do.....No matter your needs, our team is dedicated to meeting them for you!